On this week’s Social Media Marketing Talk Show with Michael Stelzner, we explore Facebook Groups changes, new YouTube features with Steve Dotto, Facebook’s new app for video creators, and other breaking social media marketing news of the week! If you’re new to the show, click on the green “Watch replay” button below and sign in or register to watch our latest episode from Friday, June 30, 2017. Facebook Enables Search for Branded Messenger Bots: Facebook is starting to roll out a new Discover hub within the Messenger platform that “enables people to browse and find bots and businesses in Messenger.” Initially announced at Facebook’s F8 Conference, the new Discover section allows users to “browse by category, recently visited businesses and featured experiences… [and] makes it even easier to get things done, from reading the latest articles, booking your next vacation, or getting the latest sport highlights, right in Messenger.” This new Messenger experience is currently only available in the U.S. and is open to developers and businesses interested in getting their experiences added to the Discover section. 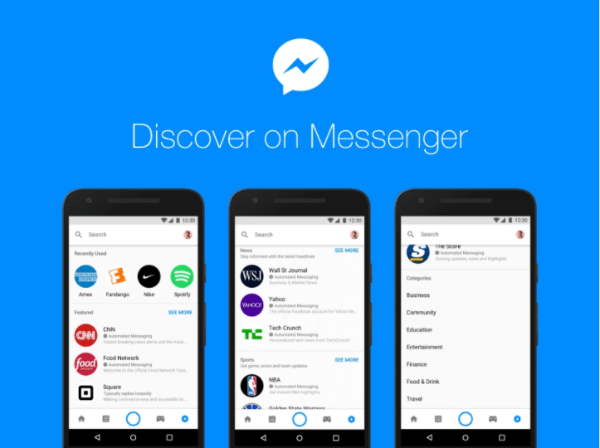 Facebook’s new Discover hub within the Messenger platform enables people to browse and find bots and businesses in Messenger. Facebook Messenger Upgrades Video Chat Features: Facebook rolled our several “awesome new features” including animated reactions, new stylistic video filters, augmented reality masks and effects, and the ability to take screenshots. These new features are available for both one-on-one and group video chats on Messenger and are rolling out now. Messenger’s Video Chat capability is one of the areas I’m the proudest about in terms of quality across devices, and overall experience. And people are using it more and more every day across the world. This is why I’m thrilled to start rolling out four new improvements to one-on-one and Group Video Chats starting today! 3) New masks: masks make moments in video truly special because you can witness the reaction of other participants in realtime, so we’ve added new ones for you to have even more fun! 4) Capture: we’ve heard from many of you that you love capturing Video Chat moments, especially since we launched masks, now with new ones, reactions, and filters there will be a lot more to capture, share, and save, so we’ve made this really easy and native. We think you’re going to love this new capability! Give all these new features a try for your Video Chats starting today, and as always… let us know how we can make this experience even better for you! Facebook Plans to Produce Original TV-Quality Programming: Reuters reported that Facebook is currently in talks with “Hollywood studios about producing scripted, TV-quality shows, with an aim of launching original programming by late summer.” While Facebook is initially “willing to commit to production budgets as high as $3 million per episode” for this content, the platform told The Verge that it would like to “help lots of creators make videos funded through revenue sharing products like Ad Break” over time. Facebook Messenger Rolls Out Updates to M Suggestions: Facebook began rolling out three new suggestions from M to users in the U.S. These include the ability to suggest that people save content from their Messenger conversations like links, videos, and more. M can also surface birthday reminders and initiate voice or video calls within a Messenger chat. Facebook also announced that suggestions from M will be available in Spain, in both English and Spanish. Facebook surpassed a major milestone of 2 billion monthly active users. 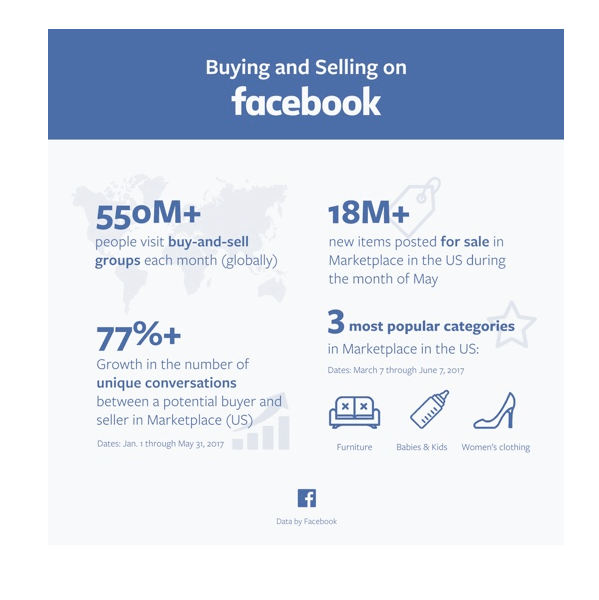 Facebook released several stats on Marketplace, which was rolled out in October 2016. Pinterest Adds Security Features for All Accounts: Pinterest is rolling out two-factor authentication to all users “over the next few weeks.” The company will also provide pinners with a list of all devices logged into their account and will alert them via email when there’s a new login from a new device or location. 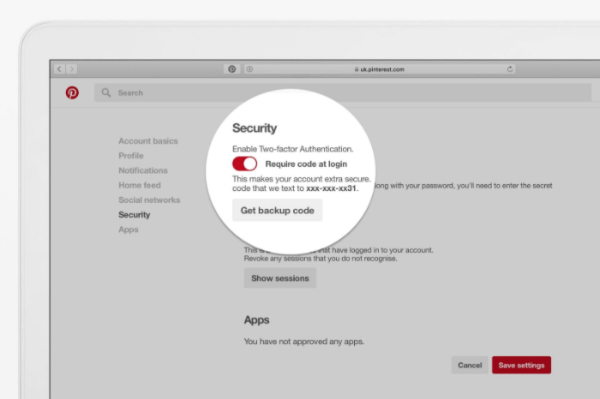 Pinterest is rolling out two-factor authentication and other new security measures to all users over the next few weeks. Instagram Tests Two New Features for Sharing and Comments: Instagram is currently testing a new sharing feature “that allows you to share photos with just a limited group of friends” and threaded comments on its Android app. Both are small tests and Instagram hasn’t confirmed when either feature is expected to be released more broadly.